Home Comics Batman: The Complete TV Series is finally released! Batman: The Complete TV Series is finally released! In case you missed the big news of the week, nostalgic Bat-fans, then you’re certainly in for a treat as one of the most anticipated gems in Batman history finally comes to home and digital media! And so it comes to pass that just in time for The Dark Knight’s 75th Anniversary this year, this classic 1960’s TV Series has finally been deployed to digital and home media. 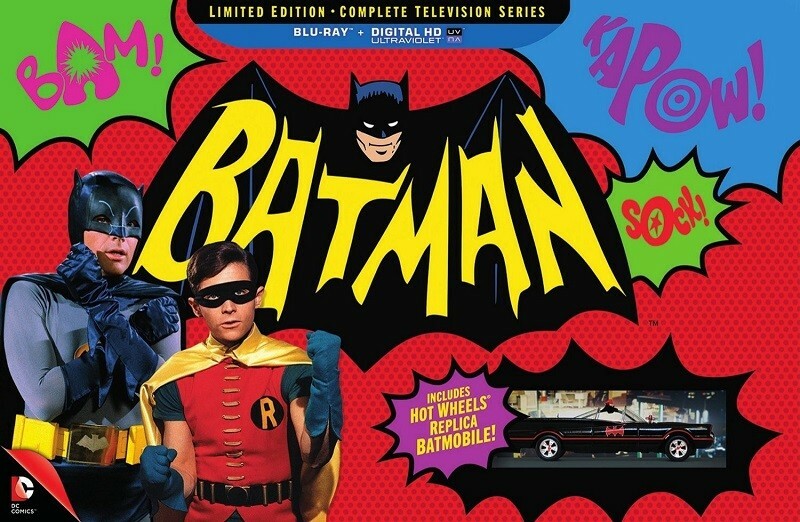 The Blu-Ray release in particular is collected in a 13-disc set, which features all 120-episodes that have been digitally restored as well as new featurettes that contain behind-the-scenes footage on the making of the show and new special segments that Adam West and the rest of the show’s surviving cast have recorded for the occasion. 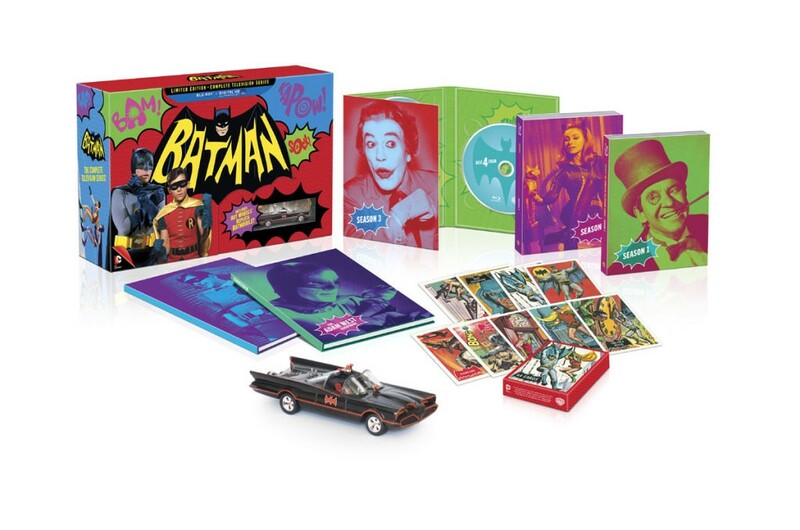 This special edition also has 44 vintage trading cards, a 32-page scrap book, a 32-page episode guide, and finally a replica of the 1960’s Batmobile by Hotwheels! In case you’re new to the whole experience, here’s a trailer to show off just how “BAM!” and awesome this series is for classic Batman fans! Batman: The Complete Television Series, is available in Blu-Ray, DVD, and through iTunes! Next articleThe Amazing Spider-Man: The world’s most profitable superhero in licensing revenues!